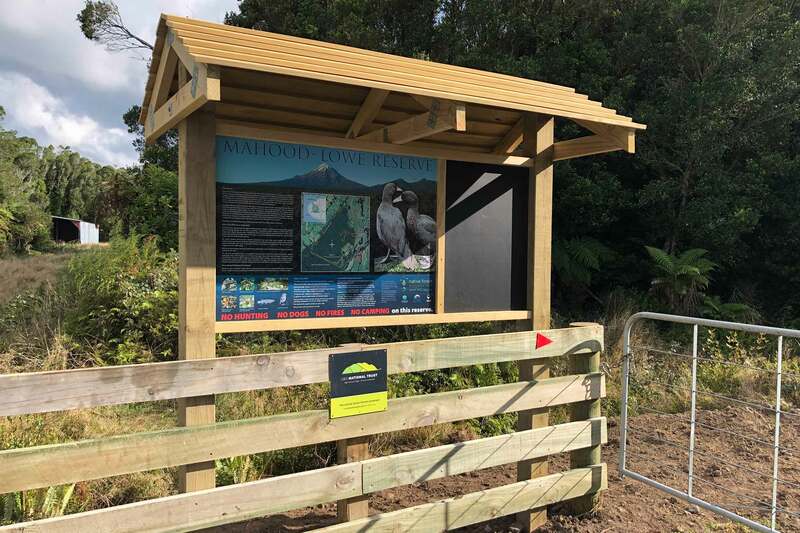 The Taranaki Mahood-Lowe Reserve officially opened over the weekend, with around 140 people turning up to celebrate the launch and participate in guided walks. The 133-hectare forest wetland, which borders Egmont National Park, was secured in 2018 following a successful public fundraising appeal to raise $500,000. The campaign began with a hugely generous donation of $250,000 from Ray and Jan Lowe. Sadly, Jan passed away not long after their donation was made but Ray attended the opening with whanau. The new reserve is named in Ray and Jan’s honour. 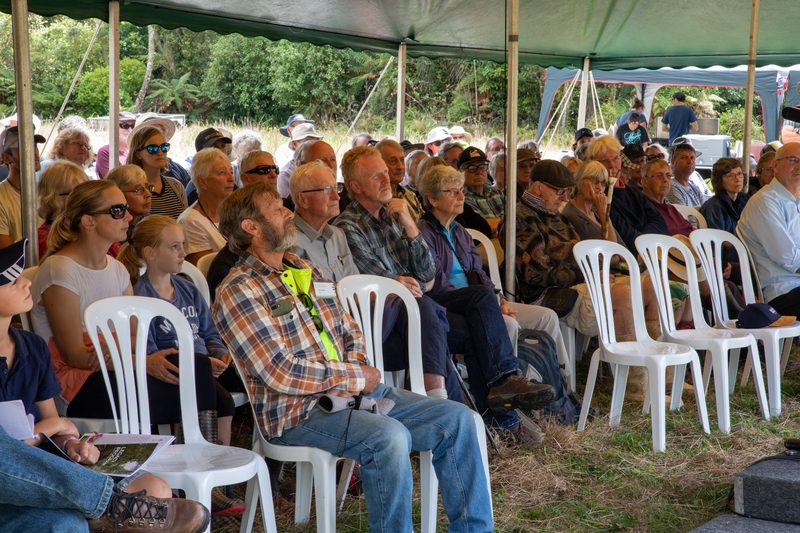 There were speeches by NFRT Chair Tim Oliver, University of Waikato’s Professor Bruce Clarkson, major donor Ray Lowe, New Plymouth District Councillor and Wild for Taranaki Chair Roy Weaver and Taranaki Regional Councillor Tom Cloke. A barbecue of venison sausages and a wonderful spread of home baking was provided by Egmont Village School before guests headed off on guided walks. The new reserve is a high quality example of an acutely threatened ecosystem and a regionally rare wetland type, home to a multitude of native species. It is considered a Regionally Significant Wetland and a Key Native Ecosystem by the Taranaki Regional Council and a Significant Natural Area by New Plymouth District Council. A big thank you goes out to everyone who helped make the event such a success!